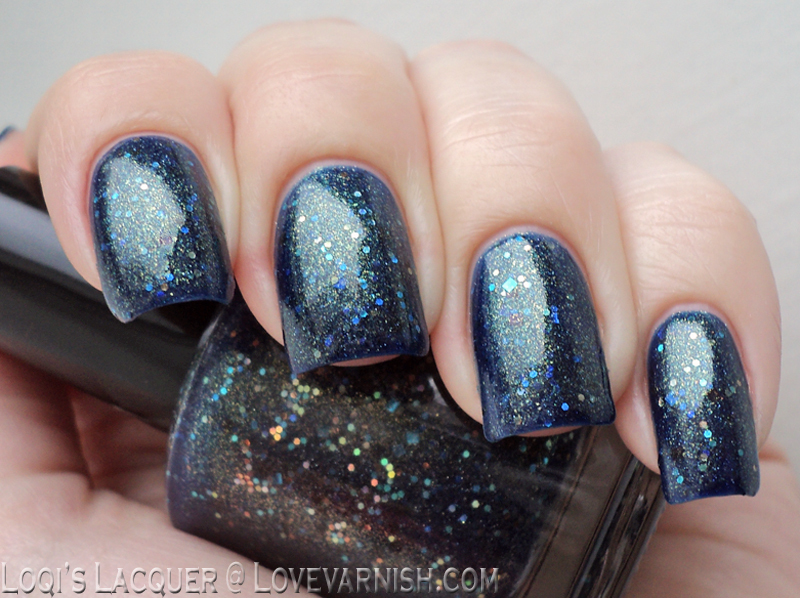 Meghan from Will Paint Nails For Food has her own indie line, and this beauty was one of the first releases. Isn't it mesmerizing? Oh, I should try this combination again, maybe with a different image. It's so nicely matched! HARE has a series called Jackalopes, they are single releases that don't fit any other collection but are too pretty to just shove aside. Well, this one certainly proves they are worth it to be released! Aaah, I remember this nailart.. I didn't like it all, lol! If you want to see Tell Me A Sea-Cret by itself, just hit the link! Last year HARE also released a trio of flakie toppers called Rise & Shine. They are all so pretty and delicate! Tuesday is my favorite! So lovely and such a great color combo! I love that stamped mani with the mono color look. That is soo beautiful. That Hare polish is so unbelievably gorgeous! Gah, all of the polishes that you showed here are amazing!! I want the Hare Polishes and Nightshade so bad haha! So gorgeous! I love Tuesday's the best I think! 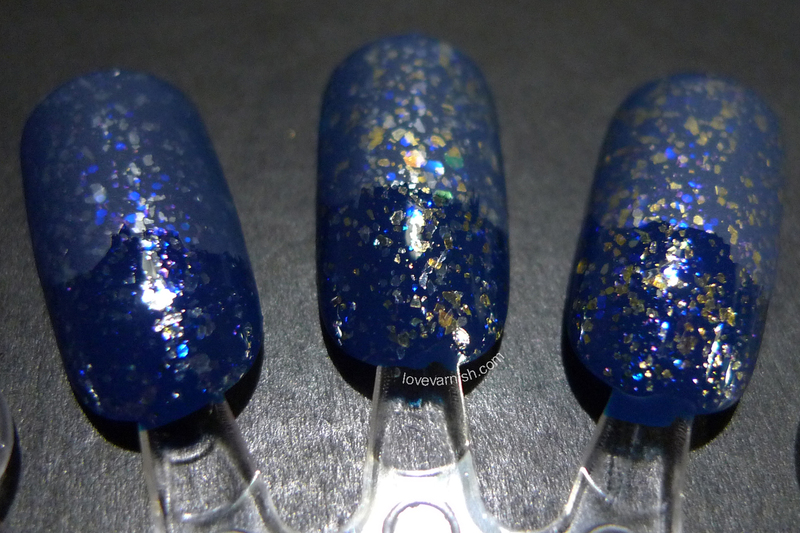 Nightshade is so gorgeous, but I really love that stamping with Too Fancy Lacquer as well. Yaaaaaay Anemone Gardens! Dat's my polish! <3 So pretty on you! Loqi did such good job capturing Nightshade, it was good to see that again - thanks for sharing! :) I also love Hare Anemone Gardens, so perfect for spring! Thank you Cindi! Consider it a combo you'll definitely see again sometime. Thanks Lola, I think so too! Ah well, they can't be all winners right? Thanks Laura, I'm definitely trying that combo again soon :). :D it's such a beauty huh? She did! Glad you still like it :). And thanks!